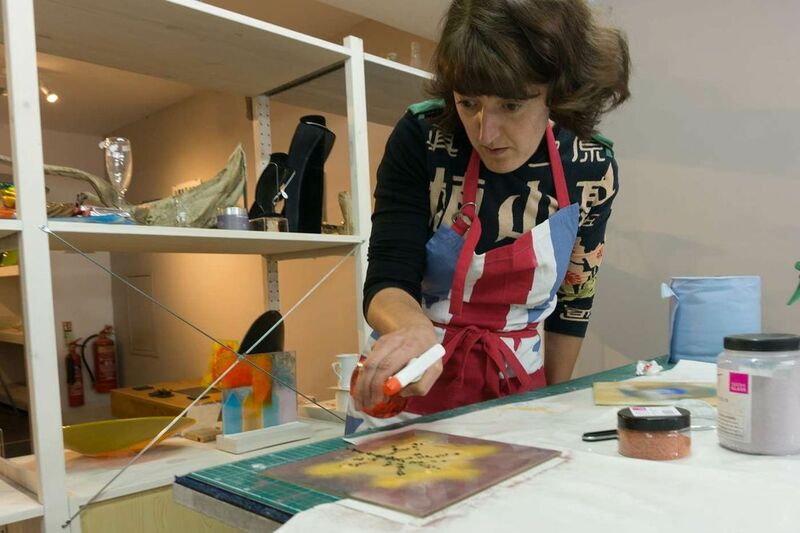 Come and experience the magic of fused glass for yourself at our well equipped studio close to Burnley town centre. We have workshops for all levels and abilities. we will guide you through every step to ensure that you create something to be proud of and to have an enjoyable experience with us. 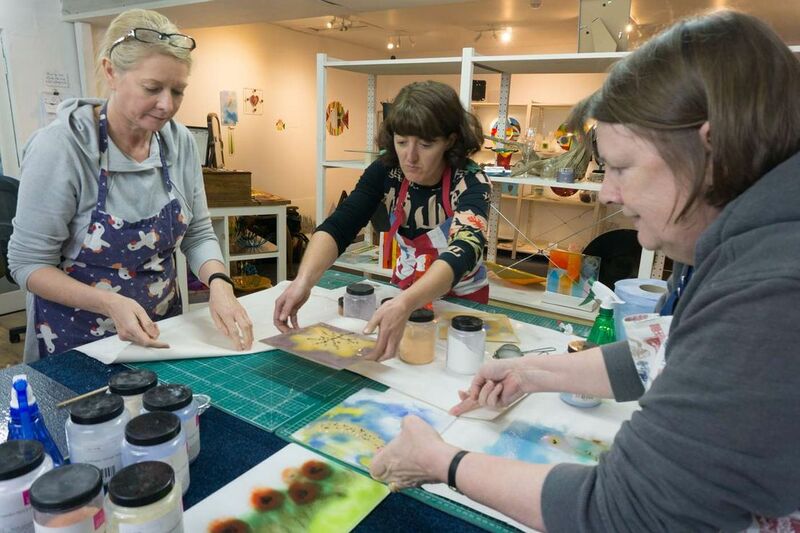 you will learn the basics of glass cutting and be guided through making a selection of fused glass items such as a coaster, a hanging decoration or jewellery. If you are new to Fusing, our full day introduction will teach you basic techniques and then guide you through a series of small projects including coasters, a hanging decoration, and a wall panel. You will make a beautiful bracelet using high quality beads and crystals which are included in the cost of the workshop. This workshop is also ideal for small groups, hen parties etc. If you need a class put together just for you, we can tailor make an exclusive event to suite your needs and time frame - family parties, team building exercises or hospitality events. Create your own unique pieces of fine silver jewellery using precious metal clay in our one day introductory workshops. Please contact us for prices and dates. Contact us now to enquire about our workshops and courses. Tuesday – Saturday, 10:00 a.m.-5:00 p.m.